AC Milan have reportedly been offered Jackson Martinez for free as part of the €700m takeover bid from Chinese businessman Jack Ma. 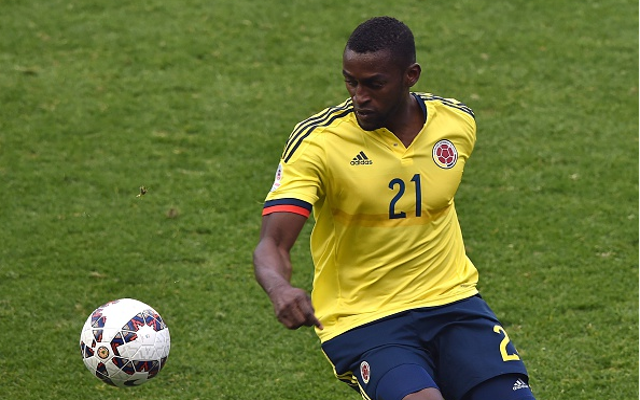 As reported by the BBC in January, the Colombian international made a £31m move to Guangzhou Evergrande from Atletico Madrid, choosing the CSL over the Rossoneri who had been long-time admirers. The financial pull of China, which has also seen various other stars from around Europe make the move this year, was seemingly too much for him to ignore. However, the 29-year-old appears set for a return to Europe just a few months later with speculation suggesting that he will be included as something of a sweetener by Ma in his bid to gain a majority stake in the Italian giants. Il Sole 24 Ore, as noted by Football Italia, claim that Ma is the man behind reported takeover talk for Milan, and it won’t be his first move into football given that he part owns Guangzhou. The founder of the Alibaba Group is regarded as the richest man in mainland China, and his link with the Rossoneri has unsurprisingly been met with great excitement, as well as pessimism given previous talks of a takeover last year involving a different party have failed to materialise. Nevertheless, with current President Silvio Berlusconi coming under increasing pressure to sell from supporters given the club’s continued failures on the pitch, it remains to be seen whether or not Ma is in fact the man pushing to secure a deal, and whether or not he intends on investing heavily in the squad. What is clear though is that Berlusconi has come to the end of his tenure at the helm, as his inability to keep the club competitive both in the transfer market and on the pitch continues to see them fall short of expectations. Having sacked Sinisa Mihajlovic earlier this month, Milan are still unsure of securing European football for next season. A defeat in the Coppa Italia final against Juventus on May 21, coupled with a seventh placed finish in Serie A would see them miss out on the Europa League. For a club that has been accustomed to winning the Champions League over the years, new ownership and investment is a necessity rather than a desire.